Exciting news theatre fans. 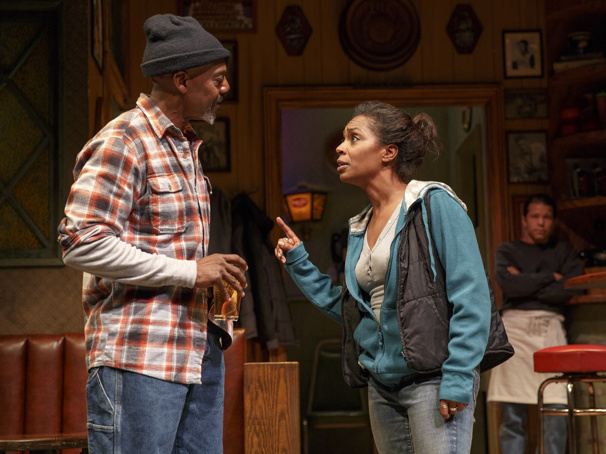 One of Off-Broadway's most critically acclaimed shows is heading to the Great White Way. Written by Pulitzer Prize winner Lynn Nottage (Ruined), and directed by Kate Whoriskey, Sweat, which first premiered at the Arena Stage in Washington D,C., is currently playing a sold our run at the Public Theatre thru December 18. Previews for the Broadway production are set to begin at Studio 54 on March 4, 2017, with opening night scheduled for March 26. So what exactly is the show about? Well according to the shows website, Sweat takes place in a factory in rural Pennsylvania factory. When layoffs at the factory begin, a group of close friends soon turn against each other as the tension rises and picket lines start to form. Sounds like a great night in the theatre to me. Tickets for the show are not yet on sale. However you can bet that when they do, we will be selling them. Get your tickets to see Sweat on Broadway at Studio 54. Until next time theatre fans.